JAN. 9, 2014. “What's beef? Beef is when you need two gats to go to sleep. Beef is when your moms ain't safe up in the streets. Beef is when I see you guaranteed to be “ICU”. Biggie (Biggie Smalls) came out with this song in the early 90’s. Yet still today the beefs continue. Our young black teens are fighting and dying. But really, what are we fighting for? Is it worth getting your life taken? Do you like being strapped all day because you don’t know what will happen next? According to internet slang.com, “beef” is a problem, fight or an argument. Beef is not being able to get proper rest because you don't know what’s next. Beef is moving away to keep your family protected. Beef exists where I live, in the District of Columbia usually in southeast, but all over DC. Beef starts from someone hating off someone else. Beef can be a result of a family member getting killed. Beef can also start sometimes over relationships. Beef can last from days to weeks to months to years and even to decades. It depends on the people. Beef exists sometimes for petty and small issues that people don't let go of. For example I had two guy friends who started beefing because of a girl. To me that’s something dumb to beef about because the simple fact is that girls come and go. I understand one of my guy friends was hurt because he was in love, but the beef wasn’t worth the girl. This beef went on and on for months. And of course you know the months turned into years. This situation showed me beef starts from people sometimes reacting off their feelings—not thinking before doing something. 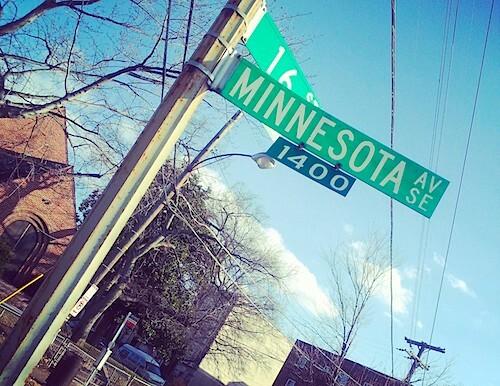 The neighborhood beefs in Washington, DC will get you locked up, hurt or killed. These young innocent teenagers don’t know. They think it’s cute to beef and beef with people. Generation after generation grow up into the neighborhood beef. It will only get worse if no one puts a stop to it. Hopefully after reading this, it changes some of your young-minded teens a different way of thinking about beef. Destiny Simmons is a senior at Anacostia Senior High School.